The Druze (/druːz/; Arabic: درزي‎ darzī or durzī, plural دروز durūz; Hebrew: דרוזי‎ drūzī plural דרוזים, druzim) are an Arabic-speaking esoteric ethno-religious group originating in Western Asia who self-identify as Al-Muwaḥḥidūn (lit., "The People of Monotheism"). Jethro of Midian is considered an ancestor of all people from the Mountain of Druze region, who revere him as their spiritual founder and chief prophet. It is a monotheistic and Abrahamic religion based on the teachings of Hamza ibn-'Ali ibn-Ahmad and the sixth Fatimid caliph Al-Hakim bi-Amr Allah, and Greek philosophers such as Plato and Aristotle. The Epistles of Wisdom is the foundational text of the Druze faith. 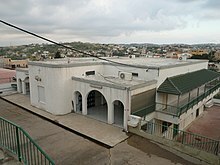 The Druze faith incorporates elements of Isma'ilism, a branch of Shia Islam, Gnosticism, Neoplatonism, Pythagoreanism, and other philosophies and beliefs, creating a distinct and secretive theology known to interpret esoterically religious scriptures, and to highlight the role of the mind and truthfulness. The Druze follow theophany, and believe in reincarnation or the transmigration of the soul. At the end of the cycle of rebirth, which is achieved through successive reincarnations, the soul is united with the Cosmic Mind (al-ʿAql al-kullī). Although dwarfed by other, larger communities, the Druze community played an important role in shaping the history of the Levant, where it continues to play a large political role. As a religious minority in every country, they have frequently experienced persecution, except in Lebanon and Israel, where Druze judges, parliamentarians, diplomats, and doctors occupy the highest echelons of society. Even though the faith originally developed out of Ismaili Islam, Druze are not considered Muslims, although Al Azhar of Egypt recognizes them as one of the Islamic sects, akin to Shia. Fatimid caliph Ali az-Zahir, whose father al-Hakim is a key figure in the Druze faith, was particularly harsh, causing the death of many Druze in Antioch, Aleppo, and northern Syria. Persecution flared up during the rule of the Mamluks and Ottomans. Most recently, Druze were targeted by the ISIL and Al-Qaeda in order to cleanse Syria and neighboring countries of non-Islamic influence. The Druze faith is one of the major religious groups in the Levant, with between 800,000 and a million adherents. They are found primarily in Syria, Lebanon (where the Druze are considered part of their Muslim population), and Israel, with small communities in Jordan. The oldest and most densely-populated Druze communities exist in Mount Lebanon and in the south of Syria around Jabal al-Druze (literally the "Mountain of the Druzes"). 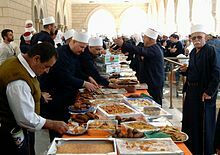 The Druze's social customs differ markedly from those of Muslims or Christians, and they are known to form close-knit, cohesive communities which do not fully allow non-Druze in, though they themselves integrate fully in their adopted homelands. Druze people reside primarily in Syria, Lebanon, Israel and Jordan. The Institute of Druze Studies estimates that forty to fifty percent of Druze live in Syria, thirty to forty percent in Lebanon, six to seven percent in Israel, and one or two percent in Jordan. About two percent of the Druze population are also scattered within other countries in the Middle East. 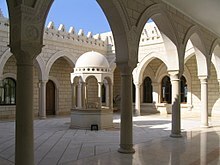 Large communities of Druze also live outside the Middle East, in Australia, Canada, Europe, Latin America (mainly Venezuela, Colombia and Brazil[dubious – discuss]), the United States, and West Africa. They use the Arabic language and follow a social pattern very similar to those of the other peoples of the Levant (eastern Mediterranean). Although the Druze religious books describe ad-Darazi as the "insolent one" and as the "calf" who is narrow-minded and hasty, the name "Druze" is still used for identification and for historical reasons. In 1018, ad-Darazi was assassinated for his teachings; some sources claim that he was executed by Al-Hakim bi-Amr Allah. Some authorities see in the name "Druze" a descriptive epithet, derived from Arabic dārisah ("she who studies"). Others have speculated that the word comes from the Persian word Darazo (درز "bliss") or from Shaykh Hussayn ad-Darazī, who was one of the early converts to the faith. In the early stages of the movement, the word "Druze" is rarely mentioned by historians, and in Druze religious texts only the word Muwaḥḥidūn ("Unitarian") appears. The only early Arab historian who mentions the Druze is the eleventh century Christian scholar Yahya of Antioch, who clearly refers to the heretical group created by ad-Darazī, rather than the followers of Hamza ibn 'Alī. As for Western sources, Benjamin of Tudela, the Jewish traveler who passed through Lebanon in or around 1165, was one of the first European writers to refer to the Druzes by name. The word Dogziyin ("Druzes") occurs in an early Hebrew edition of his travels, but it is clear that this is a scribal error. Be that as it may, he described the Druze as "mountain dwellers, monotheists, who believe in 'soul eternity' and reincarnation". He also stated that "they loved the Jews". The Druze faith began as a movement in Ismailism that was opposed to certain religious and philosophical ideologies that were present during that epoch. For the next seven years, the Druze faced extreme persecution by the new caliph, al-Zahir, who wanted to eradicate the faith. This was the result of a power struggle inside of the Fatimid empire in which the Druze were viewed with suspicion because of their refusal to recognize the new caliph, Ali az-Zahir, as their Imam. Many spies, mainly the followers of Ad-Darazi, joined the Unitarian movement in order to infiltrate the Druze community. The spies set about agitating trouble and soiling the reputation of the Druze. This resulted in friction with the new caliph who clashed militarily with the Druze community. The clashes ranged from Antioch to Alexandria, where tens of thousands of Druze were slaughtered by the Fatimid army. The largest massacre was at Antioch, where 5,000 Druze religious leaders were killed, followed by that of Aleppo. As a result, the faith went underground, in hope of survival, as those captured were either forced to renounce their faith or be killed. Druze survivors "were found principally in southern Lebanon and Syria". In 1038, two years after the death of al-Zahir, the Druze movement was able to resume because the new leadership that replaced him had friendly political ties with at least one prominent Druze leader. In 1043, Baha' ad-Din declared that the sect would no longer accept new adherents, and since that time, proselytization has been prohibited. It was during the period of Crusader rule in Levant (1099–1291) that the Druze first emerged into the full light of history in the Gharb region of the Chouf Mountains. As powerful warriors serving the Muslim rulers of Damascus against the Crusades, the Druze were given the task of keeping watch over the crusaders in the seaport of Beirut, with the aim of preventing them from making any encroachments inland. 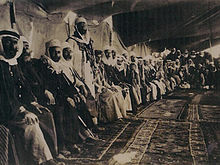 Subsequently, the Druze chiefs of the Gharb placed their considerable military experience at the disposal of the Mamluk rulers of Egypt (1250–1516); first, to assist them in putting an end to what remained of Crusader rule in coastal Levant, and later to help them safeguard the Lebanese coast against Crusader retaliation by sea. Having cleared the holy land of the Franks, the Mamluk sultans of Egypt turned their attention to the schismatic Muslims of Syria. In 1305, after the issuing of a fatwa by the scholar Ibn Taymiyyah, calling for jihad against all non-Sunni Muslims like the Druze, Alawites, Ismaili, and Twelver Shia Muslims, al-Malik al-Nasir inflicted a disastrous defeat on the Druze at Keserwan, and forced outward compliance on their part to Orthodox Sunni Islam. Later, under the Ottoman, they were severely attacked at Saoufar in 1585, after the Ottomans claimed that they assaulted their caravans near Tripoli. [page needed] As a result of the Ottoman experience with the rebellious Druze, the word Durzi in Turkish came, and continues, to mean someone who is the ultimate thug. One influential Islamic sage of that time[who?] labeled them as infidels and argued that, even though they might behave like Muslims on the outside, this is no more than a pretense. He also declared that confiscation of Druze property and even the death sentence would conform to the laws of Islam. During the Ottoman–Habsburg War (1683–1699), Ahmad Ma'n collaborated in a rebellion against the Ottomans which extended beyond his death. Iltizam rights in Shuf and Kisrawan passed to the rising Shihab family through female-line inheritance. As early as the days of Saladin, and while the Ma'ans were still in complete control over southern Lebanon, the Shihab tribe, originally Hijaz Arabs, but later settled in Ḥawran, advanced from Ḥawran, in 1172, and settled in Wadi al-Taym at the foot of mount Hermon. They soon made an alliance with the Ma'ans and were acknowledged as the Druze chiefs in Wadi al-Taym. At the end of the 17th century (1697) the Shihabs succeeded the Ma'ans in the feudal leadership of Druze southern Lebanon, although they reportedly professed Sunni Islam, they showed sympathy with Druzism, the religion of the majority of their subjects. The Hauran rebellion was a violent Druze uprising against Ottoman authority in the Syrian province, which erupted in May 1909. The rebellion was led by al-Atrash family, originated in local disputes and Druze unwillingness to pay taxes and conscript into the Ottoman Army. The rebellion ended in brutal suppression of the Druze by General Sami Pasha al-Farouqi, significant depopulation of the Hauran region and execution of the Druze leaders in 1910. In the outcome of the revolt, 2,000 Druze were killed, a similar number wounded, and hundreds of Druze fighters imprisoned. Al-Farouqi also disarmed the population, extracted significant taxes, and launched a census of the region. In Lebanon, Syria, Israel, and Jordan, the Druzites have official recognition as a separate religious community with its own religious court system. Druzites are known for their loyalty to the countries they reside in,[page needed][verification needed] though they have a strong community feeling, in which they identify themselves as related even across borders of countries. Despite their practice of blending with dominant groups to avoid persecution, and because the Druze religion does not endorse separatist sentiments, but urges blending with the communities they reside in, the Druze have had a history of resistance to occupying powers, and they have at times enjoyed more freedom than most other groups living in the Levant. In Syria, most Druzites live in the Jebel al-Druze, a rugged and mountainous region in the southwest of the country, which is more than 90 percent Druze inhabited; some 120 villages are exclusively so. [page needed] Other notable communities live in the Harim Mountains, the Damascus suburb of Jaramana, and on the southeast slopes of Mount Hermon. A large Syrian Druze community historically lived in the Golan Heights, but following wars with Israel in 1967 and 1973, many of these Druze fled to other parts of Syria; most of those who remained live in a handful of villages in the disputed zone, while only a few live in the narrow remnant of Quneitra Governorate that is still under effective Syrian control. The Qalb Loze massacre was a reported massacre of Syrian Druze on 10 June 2015 in the village of Qalb Loze in Syria's northwestern Idlib Governorate in which 20-24 Druze were killed. On July 25, 2018, a group of ISIS-affiliated attackers entered the Druze city of As-Suwayda and initiated a series of gunfights and suicide bombings on its streets, killing at least 258 people, the vast majority of them civilians. The Druzite community in Lebanon played an important role in the formation of the modern state of Lebanon, and even though they are a minority they play an important role in the Lebanese political scene. Before and during the Lebanese Civil War (1975–90), the Druze were in favor of Pan-Arabism and Palestinian resistance represented by the PLO. Most of the community supported the Progressive Socialist Party formed by their leader Kamal Jumblatt and they fought alongside other leftist and Palestinian parties against the Lebanese Front that was mainly constituted of Christians. After the assassination of Kamal Jumblatt on 16 March 1977, his son Walid Jumblatt took the leadership of the party and played an important role in preserving his father's legacy after winning the Mountain War and sustained the existence of the Druze community during the sectarian bloodshed that lasted until 1990. In August 2001, Maronite Catholic Patriarch Nasrallah Boutros Sfeir toured the predominantly Druze Chouf region of Mount Lebanon and visited Mukhtara, the ancestral stronghold of Druze leader Walid Jumblatt. The tumultuous reception that Sfeir received not only signified a historic reconciliation between Maronites and Druze, who fought a bloody war in 1983–1984, but underscored the fact that the banner of Lebanese sovereignty had broad multi-confessional appeal and was a cornerstone for the Cedar Revolution in 2005. Jumblatt's post-2005 position diverged sharply from the tradition of his family. He also accused Damascus of being behind the 1977 assassination of his father, Kamal Jumblatt, expressing for the first time what many knew he privately suspected. The BBC describes Jumblatt as "the leader of Lebanon's most powerful Druze clan and heir to a leftist political dynasty". The second largest political party supported by Druze is the Lebanese Democratic Party led by Prince Talal Arslan, the son of Lebanese independence hero Emir Majid Arslan. 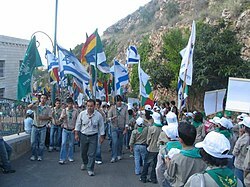 Israeli Druze Scouts march to Jethro's tomb. Today, thousands of Israeli Druze belong to such "Druze Zionist" movements. The Druzites form a religious minority in Israel of more than 100,000, mostly residing in the north of the country. In 2004, there were 102,000 Druze living in the country. In 2010, the population of Israeli Druze citizens grew to over 125,000. At the end of 2014, there were 140,000. Today, thousands of Israeli Druze belong to "Druze Zionist" movements. In 1957, the Israeli government designated the Druze a distinct ethnic community at the request of its communal leaders. The Druze are Arabic-speaking citizens of Israel and serve in the Israel Defense Forces, just as most citizens do in Israel. Members of the community have attained top positions in Israeli politics and public service. The number of Druze parliament members usually exceeds their proportion in the Israeli population, and they are integrated within several political parties. 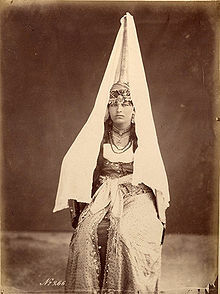 The Druzites form a religious minority in Jordan of around 32,000, mostly residing in the northwestern part of the country. The Druze conception of the deity is declared by them to be one of strict and uncompromising unity. The main Druze doctrine states that God is both transcendent and immanent, in which he is above all attributes, but at the same time, he is present. [Incarnation] is the core spiritual beliefs in the Druze and some other intellectual and spiritual traditions ... In a mystical sense, it refers to the light of God experienced by certain mystics who have reached a high level of purity in their spiritual journey. Thus, God is perceived as the Lahut [the divine] who manifests His Light in the Station (Maqaam) of the Nasut [material realm] without the Nasut becoming Lahut. This is like one's image in the mirror: One is in the mirror, but does not become the mirror. The Druze manuscripts are emphatic and warn against the belief that the Nasut is God ... Neglecting this warning, individual seekers, scholars, and other spectators have considered al-Hakim and other figures divine. Druze dignitaries celebrating the Nabi Shu'ayb festival at the tomb of the prophet in Hittin, Israel. The Druze allow divorce, although it is discouraged; circumcision is not necessary; they cannot be reborn as non-Druze; those who purify and perfect their soul ascend to the stars upon death; when al-Hakim returns, all faithful Druze will join him in his march from China and on to conquer the world; apostasy is forbidden, usually have religious services on Thursday evenings, and follow Sunni Hanafi law on issues which their own faith has no particular ruling. The second type of religious shrine is one associated with the anniversary of a historic event or death of a prophet. If it is a mausoleum the Druze call it mazār and if it is a shrine they call it maqām. The holy places become more important to the community in times of adversity and calamity. The holy places and shrines of the Druze are scattered in various villages, in places where they are protected and cared for. They are found in Syria, Lebanon and Israel. Mate is a popular drink consumed by the Druze brought to the Levant from Syrian migrants from Argentina in the 19th century. Mate is made by steeping dried leaves of yerba mate in hot water and is served with a metal straw (bambija or masassa) from a gourd (finjan/Qar'aa). Mate is often the first item served when entering a Druze home. It is a social drink and can be shared between multiple participants. After each drinker, the metal straw is cleaned with a lemon rind. Traditional snacks eaten with mate include raisins, nuts, dried figs, biscuits, and chips. Travelers like Niebuhr, and scholars like Max von Oppenheim, undoubtedly echoing the popular Druze belief regarding their own origin, have classified them as Arabs. The prevailing idea among the Druzes themselves today is that they are of Arab stock. The 1911 edition of Encyclopædia Britannica states that the Druzes are "a mixture of refugee stocks, in which the Arab largely predominates, grafted on to an original mountain population of Aramaic blood". During the 18th century, there were two branches of Druze living in Lebanon: the Yemeni Druze, headed by the "Harmouche" and "Alamuddine" families; and the Kaysi Druze, headed by the Jumblatt and Arslan families. The Harmouche family was banished from Mount Lebanon following the battle of Ain Dara in 1711. The battle was fought between two Druze factions: the Yemeni and the Kaysi. Following their dramatic defeat, the Yemeni faction migrated to Syria in the Jebel-Druze region and its capital, As-Suwayda. However, it has been argued that these two factions were of a political nature, rather than ethnic, and had both Christian and Druze supporters. In a 2005 study of ASPM gene variants, Mekel-Bobrov et al. found that the Israeli Druze people of the Mount Carmel region have among the highest rate of the newly evolved ASPM- Haplogroup D, at 52.2% occurrence of the approximately 6,000-year-old allele. While it is not yet known exactly what selective advantage is provided by this gene variant, the Haplogroup D allele is thought to be positively selected in populations and to confer some substantial advantage that has caused its frequency to rapidly increase. A 2016 study based on testing samples of Druze in the Syria (region) in comparison with ancient humans (including Anatolian and Armenian), and on Geographic Population Structure (GPS) tool by converting genetic distances into geographic distances, concluded that Druze might hail from the Zagros Mountains and the surroundings of Lake Van in eastern Anatolia, then they later migrated south to settle in the mountainous regions in Syria, Lebanon and Israel. ^ Robert Brenton Betts (1 Jan 1990). The Druze (illustrated, reprint, revised ed.). Yale University Press. p. 55. ISBN 978-0-300-04810-0. The total population of Druze throughout the world probably approaches one million. ^ Donna Marsh (11 May 2015). Doing Business in the Middle East: A cultural and practical guide for all Business Professionals (revised ed.). Hachette UK. ISBN 978-1-4721-3567-4. It is believed there are no more than 1 million Druze worldwide; most live in the Levant. ^ Daftary, Ferhad. "ḤĀKEM BE-AMR-ALLĀH". Encyclopædia Iranica. Retrieved 27 April 2016. ^ "Syria region map" (PNG). gulf2000.columbia.edu. ^ Irshaid, Faisal (19 June 2015). "Syria's Druze under threat as conflict spreads". BBC News – via www.bbc.com. ^ Lebanon – International Religious Freedom Report 2008 U.S. Department of State. Retrieved on 2013-06-13. ^ a b "Palestinians say they number 12.1 million worldwide". Times of Israel. 2015. ^ "Tariq Alaiseme [reportedly to be] vice-president of Venezuela" (in Arabic). Aamama. 2013. : Referring governor Tareck El Aissami. ^ "Druze Population of Australia by Place of Usual Residence (2006)". Australian Bureau of Statistics. Retrieved 27 July 2010. ^ LRZ-Benutzer(in). "European Druze Society". www.europeandruzesociety.com. ^ Berdichevsky, Norman (2004-02-13). Nations, Language and Citizenship. McFarland. ISBN 978-0-7864-2700-0. ^ "Druze". Random House Webster's Unabridged Dictionary. ^ Chatty, Dawn (2010-03-15). Displacement and Dispossession in the Modern Middle East. Cambridge University Press. ISBN 978-0-521-81792-9. ^ a b Doniger, Wendy (1999). Merriam-Webster's Encyclopedia of World Religions. Merriam-Webster, Inc. ISBN 978-0-87779-044-0. ^ Corduan, Winfried (2013). Neighboring Faiths: A Christian Introduction to World Religions. p. 107. ISBN 978-0-8308-7197-1. ^ Mackey, Sandra (2009). Mirror of the Arab World: Lebanon in Conflict. p. 28. ISBN 978-0-393-33374-9. ^ Lev, David (25 October 2010). "MK Kara: Druze are Descended from Jews". Israel National News. Arutz Sheva. Retrieved 13 April 2011. ^ Blumberg, Arnold (1985). Zion Before Zionism: 1838–1880. Syracuse, NY: Syracuse University Press. p. 201. ISBN 978-0-8156-2336-6. ^ Rosenfeld, Judy (1952). Ticket to Israel: An Informative Guide. p. 290. ^ Léo-Paul Dana (1 Jan 2010). Entrepreneurship and Religion. Edward Elgar Publishing. p. 314. ISBN 978-1-84980-632-9. ^ Terri Morrison; Wayne A. Conaway (24 Jul 2006). Kiss, Bow, Or Shake Hands: The Bestselling Guide to Doing Business in More Than 60 Countries (illustrated ed.). Adams Media. p. 259. ISBN 978-1-59337-368-9. ^ Rosenthal, Donna (2003). The Israelis: Ordinary People in an Extraordinary Land. Simon and Schuster. p. 296. ISBN 978-0-684-86972-8. ^ a b c "Druze". druze.org.au. 2015. Archived from the original on 14 February 2016. ^ Nisan, Mordechai (2015-10-02). Minorities in the Middle East: A History of Struggle and Self-Expression. McFarland. ISBN 978-0-7864-5133-3. ^ Kayyali, Randa (2006). The Arab Americans. Greenwood Publishing Group. ISBN 978-0-313-33219-7. ^ Sorenson, David (2009-11-12). Global Security Watch-Lebanon: A Reference Handbook: A Reference Handbook. ABC-CLIO. ISBN 978-0-313-36579-9. ^ Abdul-Rahman, Muhammed Saed (December 2003). Islam: Questions And Answers — Schools of Thought, Religions and Sects. AMSA Publication Limited. ISBN 978-5-551-29049-0. ^ a b c d e f g h i j k Hitti 1924. ^ a b "ISIS kidnaps dozens of women, girls in deadly Syria raids". CBS News. July 30, 2018. ^ Al-Khalidi, Suleiman (2015-06-11). "Calls for aid to Syria's Druze after al Qaeda kills 20". Reuters. ^ "Syria: ISIS Imposes 'Sharia' on Idlib's Druze". ^ Radwan, Chad K. (June 2009). "Assessing Druze identity and strategies for preserving Druze heritage in North America". Scholar Commons. ^ Jordanian Druze can be found in Amman and Zarka; about 50% live in the town of Azraq, and a smaller number in Irbid and Aqaba. "Localities and Population, by District, Sub-District, Religion and Population Group" (PDF). Archived from the original (PDF) on 14 June 2007. ^ "Druze set to visit Syria". BBC News. 30 August 2004. Retrieved 8 September 2006. The worldwide population of Druze is put at up to one million, with most living in mountainous regions in Syria, Lebanon, Jordan and Israel. ^ Hodgson, Marshall G. S. (1962). "Al-Darazî and Ḥamza in the Origin of the Druze Religion". Journal of the American Oriental Society. 82 (1): 5–20. Bibcode:1964JAOS...84..128H. doi:10.2307/595974. ISSN 0003-0279. JSTOR 595974. (Registration required (help)). ^ a b c d e Swayd, Samy (1998). The Druzes: An Annotated Bibliography. Kirkland, WA, USA: ISES Publications. ISBN 978-0-9662932-0-3. ^ a b Chisholm 1911, p. 605. ^ a b Al-Najjar, 'Abdullāh (1965). 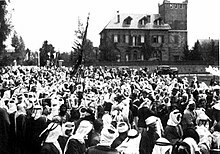 Madhhab ad-Durūz wa t-Tawḥīd (The Druze Sect and Unism) (in Arabic). Egypt: Dār al-Ma'ārif. ^ Hitti, Philip K (2007) . Origins of the Druze People and Religion, with Extracts from their Sacred Writings. Columbia University Oriental Studies. 28 (new ed.). London: Saqi. pp. 13–14. ISBN 978-0-86356-690-5. ^ Mordechai Nisan (1 Jan 2002). Minorities in the Middle East: A History of Struggle and Self-Expression, 2d ed. McFarland. p. 283. ISBN 978-0-7864-5133-3. ^ a b c Rebecca Erickson. "The Druze" (PDF). Encyclopedia of New Religious Movements. Archived from the original (PDF) on 18 May 2015. ^ Stefan Winter (11 Mar 2010). The Shiites of Lebanon under Ottoman Rule, 1516–1788. Cambridge University Press. p. 37. ISBN 978-1-139-48681-1. ^ TJ Gorton, Renaissance Emir: a Druze Warlord at the court of the Medici (London: Quartet Books, 2013), pp 167–75. ^ Abu-Husayn, Abdul-Rahim (2004). The View from Istanbul: Lebanon and the Druze Emirate in the Ottoman Chancery Documents, 1546–1711. I.B.Tauris. pp. 21–22. ISBN 978-1-86064-856-4. ^ a b Abu-Husayn, Abdul-Rahim (2004). The View from Istanbul: Lebanon and the Druze Emirate in the Ottoman Chancery Documents, 1546–1711. I.B.Tauris. p. 22. ISBN 978-1-86064-856-4. ^ a b c Abu-Husayn, Abdul-Rahim (2004). The view from Istanbul: Lebanon and the Druze Emirate in the Ottoman chancery documents, 1546–1711. I.B.Tauris. pp. 22–23. ISBN 978-1-86064-856-4. ^ a b Salibi, Kamal S. (2005). A house of many mansions: the history of Lebanon reconsidered. I.B.Tauris. p. 66. ISBN 978-1-86064-912-7. ^ Abraham, Antoine (1977). "Lebanese Communal Relations". Muslim World. 67 (2): 91–105. doi:10.1111/j.1478-1913.1977.tb03313.x. ^ Totten, Michael J. (2014). Tower of the Sun: Stories from the Middle East and North Africa. Belmont Estate Books. ISBN 978-0-692-29753-7. ^ a b Kjeilen, Tore. "Druze". ^ a b c d e f g Landis, Joshua (1998). Philipp, T; Schäbler, B, eds. "Shishakli and the Druzes: Integration and intransigence". The Syrian Land: Processes of Integration and Fragmentation. Stuttgart: Franz Steiner Verlag. pp. 369–96. ^ "Who's who in Lebanon". BBC News. 14 March 2005. Retrieved 13 August 2011. ^ a b Eli Ashkenazi (3 November 2005). הרצל והתקווה בחגיגות 30 לתנועה הדרוזית הציונית [Herzl and hope in celebrating 30 (years of the) Druze Zionist movement]. Haaretz (in Hebrew). Retrieved 14 October 2014. ^ Grolier Incorporated (1996). The Encyclopedia Americana. Grolier Incorporated. Retrieved 17 March 2011. ^ Ḥamza ibn ʻAli ibn Aḥmad and Baha'a El-Din. The Druze holy book Epistles of Wisdom – page.47 "Elmithaq" (PDF). Christoph Heger. Retrieved 18 March 2011. ^ Hanna Batatu (17 Sep 2012). Syria's Peasantry, the Descendants of Its Lesser Rural Notables, and Their Politics. Princeton University Press. pp. 15–16. ISBN 978-1-4008-4584-2. I ... son of ... being sane of spirit and body and duly qualified, attest on my soul, without compulsion or constraint, that I renounce all the different cults, religions, and creeds and acknowledge nothing other than obedience to our Lord al-Hakim, revered be his name, and obedience is worship; that in his worship I associate no past, present, or future being; that I commit my soul, my body, my property, and my offspring ... to our Lord al-Hakim ... and accept all his decrees, be they in my favour or against me ... He who attests that there is in heaven no adored god and on the earth no living imam other than our Lord al-Hakim ... belongs to the triumphant muwahhidin [unitarians]. Signed ... in the year ... of the slave of our Lord ... Hamzah bin 'Ali bin Ahmad, the guide of those who respond [to the divine call] and the avenger on the polytheists with the sword of our Lord. ^ Nissîm Dānā (2003). The Druze in the Middle East: Their Faith, Leadership, Identity and Status. Sussex Academic Press. pp. 38–. ISBN 978-1-903900-36-9. Retrieved 11 September 2012. ^ Firro, Kais (1992). A History of the Druzes, Volume 1. BRILL. ISBN 978-90-04-09437-6. ^ Dana 2003, p. 18. ^ Gananath Obeyesekere (2006). Karma and Rebirth: A Cross Cultural Study (illustrated ed.). Motilal Banarsidass Publishe. pp. 311, 313–14. ISBN 9788120826090. ^ Farhad Daftary (20 Sep 2007). The Isma'ilis: Their History and Doctrines (2, illustrated, revised ed.). Cambridge University Press. p. 189. ISBN 978-1-139-46578-6. ^ Samy S. Swayd (2009). The A to Z of the Druzes. Rowman & Littlefield. p. xxxix. ISBN 978-0-8108-6836-6. ^ Morgan Clarke (15 Jan 2013). Islam And New Kinship: Reproductive Technology and the Shariah in Lebanon. Berghahn Books. p. 17. ISBN 978-0-85745-382-2. ^ Samy S. Swayd (2009). The A to Z of the Druzes. Rowman & Littlefield. pp. 44, 61, 147. ISBN 978-0-8108-6836-6. ^ a b "Holy places of the Druze". Aamama. ^ "Khalwah the prayer place of the Druze". Druze sect site. 29 August 2010. Archived from the original on 3 December 2013. ^ Barceloux, Donald (2012-02-03). Medical Toxicology of Drug Abuse: Synthesized Chemicals and Psychoactive Plants. John Wiley & Sons. ISBN 978-1-118-10605-1. ^ "South American 'mate' tea a long-time Lebanese hit". Middle East Online. 22 March 2018. Retrieved 11 March 2014. ^ Hitti, P. K. (1966). The Origins of the Druze People and Religion: With Extracts from Their Sacred Writings. Library of Alexandria. ISBN 9781465546623. ^ Peidong Shen; et al. (2004). "Reconstruction of Patrilineages and Matrilineages of Samaritans and Other Israeli Populations From Y-Chromosome and Mitochondrial DNA Sequence Variation" (PDF). Human Mutation. 24 (3): 248–260. doi:10.1002/humu.20077. PMID 15300852. Retrieved 2 December 2016. ^ Barcaccia, Gianni; Galla, Giulio; Achilli, Alessandro; Olivieri, Anna; Torroni, Antonio (5 October 2015). "Uncovering the sources of DNA found on the Turin Shroud". Scientific Reports. 5 (1): 14484. Bibcode:2015NatSR...514484B. doi:10.1038/srep14484. PMC 4593049. PMID 26434580. ^ Scarlett Marshall; Ranajit Das; Mehdi Pirooznia; Eran Elhaik (16 November 2016). "Reconstructing Druze population history". Scientific Reports. 6: 35837. Bibcode:2016NatSR...635837M. doi:10.1038/srep35837. PMC 5111078. PMID 27848937. Retrieved 30 December 2017. Dana, Nissim (2003). The Druze in the Middle East: Their Faith, Leadership, Identity and Status. Sussex University Press. ISBN 978-1-903900-36-9. .
Hitti, Philip Khūri (1924), Origins of the Druze People and Religion, Forgotten Books, ISBN 978-1-60506-068-2, retrieved 4 April 2012 . Jean-Marc Aractingi, "Points de convergence dans les rituels et symboles chez les Druzes et chez les francs-maçons", in Les Cahiers, Jean Scot Erigène, no 8, Franc-maçonnerie et Islamité, Paris: la Grande Loge de France. Abu Fakhr, Sakr (2000). "Voices from the Golan". Journal of Palestine Studies. 29 (4): 5–36. doi:10.1525/jps.2000.29.4.02p00787. Aractingi, Jean-Marc; Lochon, Christian (2008). Secrets initiatiques en Islam et rituels maçonniques-Ismaéliens, Druzes, Alaouites, Confréries soufies. Paris: L'Harmattan. ISBN 978-2-296-06536-9. .
Shamai, Shmuel (1990). "Critical Sociology of Education Theory in Practice: The Druze Education in the Golan". British Journal of Sociology of Education. 11 (4): 449–463. doi:10.1080/0142569900110406. Bashar Tarabieh "Education, Control and Resistance in the Golan Heights". Middle East Report, No. 194/195, Odds against Peace (May–August 1995), pp. 43–47. Chisholm, Hugh, ed. (1911). "Druses" . Encyclopædia Britannica. 8 (11th ed.). Cambridge University Press. pp. 603–606. 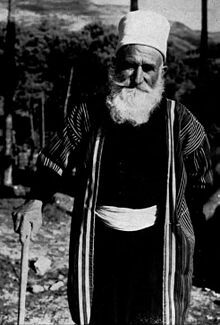 Wikimedia Commons has media related to Druze.